Home » Support Us » Act Now! We are looking to make contact with families who currently have their Disabled (including SEN) children in mainstream school but are being pressurised into accepting a special school placement by the London Borough of Hackney. 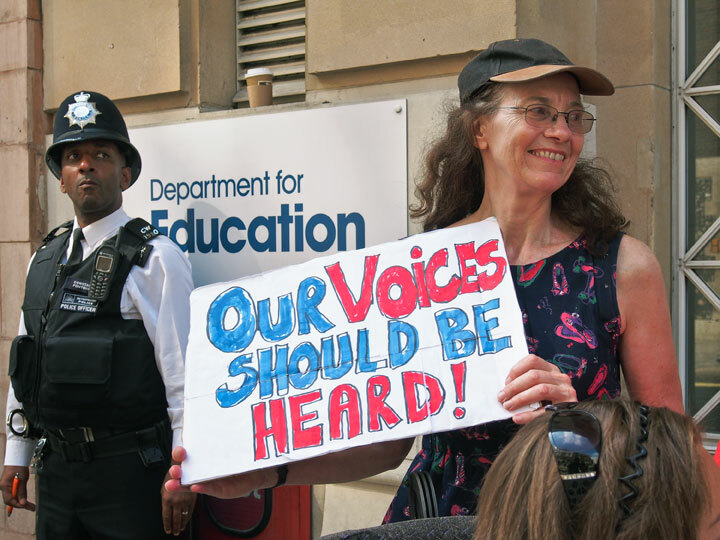 We are looking into SEN budgets cuts, which are having a negative impact upon Disabled pupils’ right to mainstream education, and whether the cuts can be challenged. We are supporting local groups campaigning against SEN budget cuts and their impact upon Disabled children’s education. We are specifically concerned about the implications of the budget cuts upon Disabled pupils’ inclusion in mainstream education. We need to act now – contact Simone Aspis (Policy and Campaigns Coordinator) on 0207 737 6030 or by email. For more information about the Hackney Crisis in SEN campaign and our support for their campaign work please see our campaigns briefing. Get involved in our focus groups or take our survey as part of our research into secondary school accessibility plans. Find out more about how to take part in the research.